…but the ice is just fine! Come on in and join us for an ice skate! New York winters have become synonymous with ice skating. The city has so many rinks that have been made famous by tv and movies, and others that are just as good (if not better) hiding in the wings, ready for you to bring them center stage. 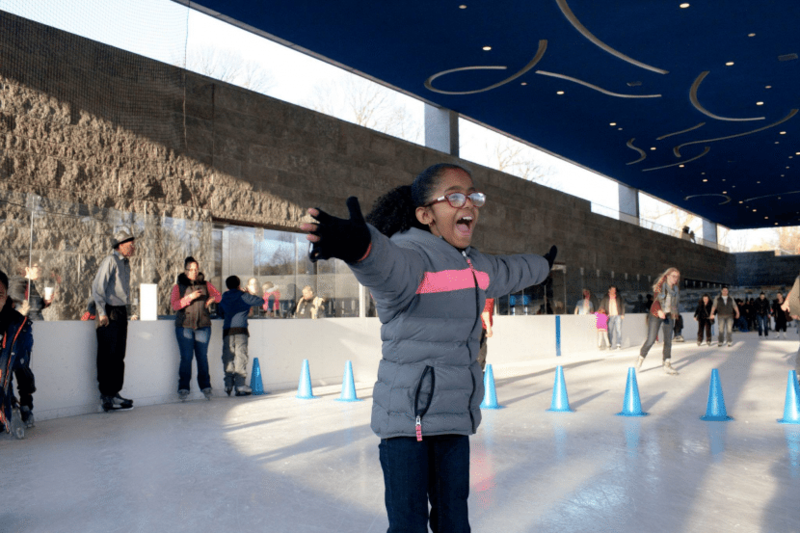 One such place is LeFrak Center at Lakeside, in Prospect Park. This beautiful park, a tourist destination in the summer due to its beautiful scenery, also plays host to a rink that is used for ice skating during the winter months. But let’s talk a little bit about this rink. It’s not just of interest as a skating destination (though I suppose if that’s your focus, you can skip this section), but has a lot of rich historic value to it. Lakeside is perhaps the most ambitious project to have been undertaken in Prospect Park since its creation nearly 150 years ago. 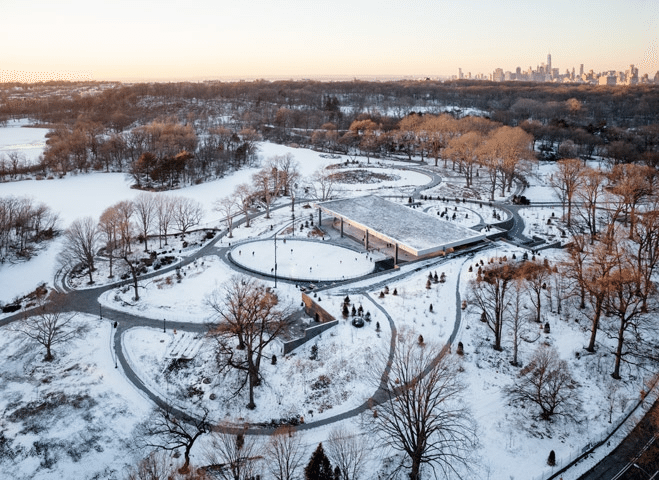 The Prospect Park Alliance spent $74 million renovating these 26 acres, and the result has utterly transformed the southeast corner of the park into what is now a very popular destination for these who want to take in the beautiful greenery that New York (surprisingly) has to offer. And of course, as I mentioned, during the winter it transforms into an ice skating paradise. If you’ve read the above section, you get to know all the cool stuff about where you’re going to be whizzing about (or falling on your face) on your skates. But let’s talk more practically. First, you need to make sure the place is open when you get there. Mondays to Thursday hours are 10am to 6:30pm, and the other days are listed on their webpage. More interestingly, this rink offers classes at their own skate school, in case you’re one of the people from above who are falling on their faces (don’t worry, I won’t judge you — I’m in that category, too). More details on finding your current skating level, registration, and class sessions can be found on their website. 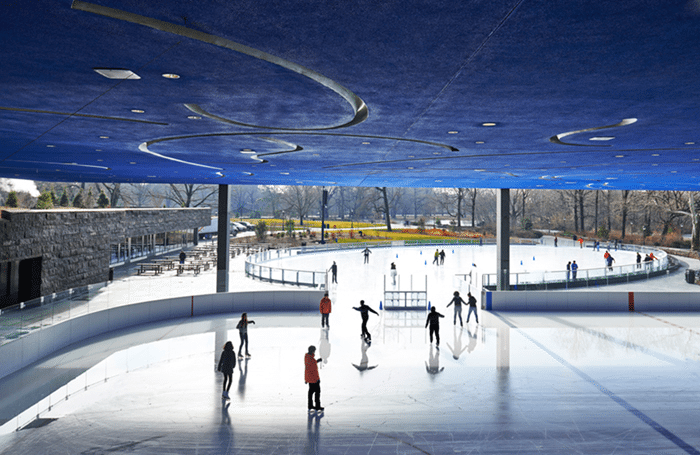 Besides having a funny name, LeFrak Center at Lakeside has a rich history, and wonderful skating facilities to match. If you’re looking for the all-out experience, classes and all, then LeFrak is the place to go. And come over on Seastreak! Because no matter how good a skater you are, you can’t skate on water. I am… I am right about that, right?